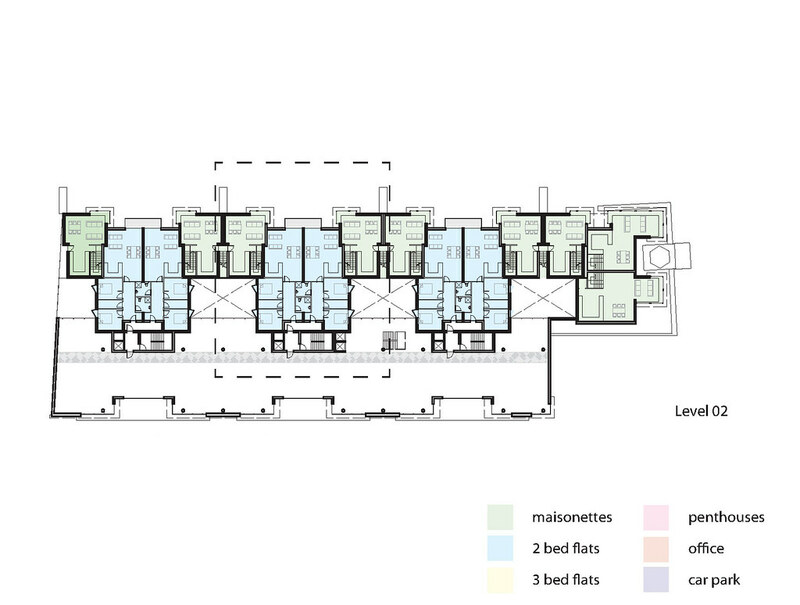 This project was won in an Open two stage RIBA competition. 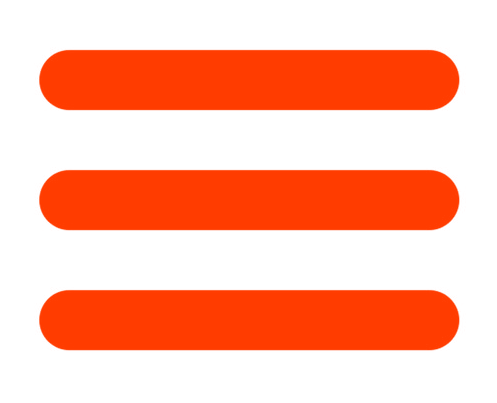 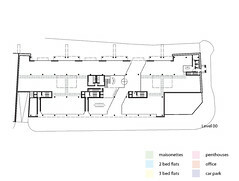 There were 139 entries from all over the world. 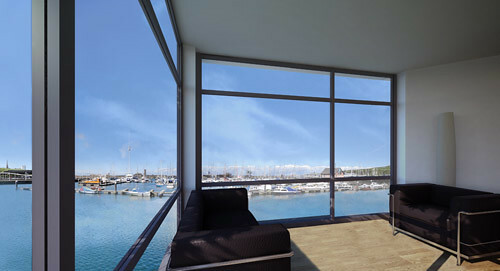 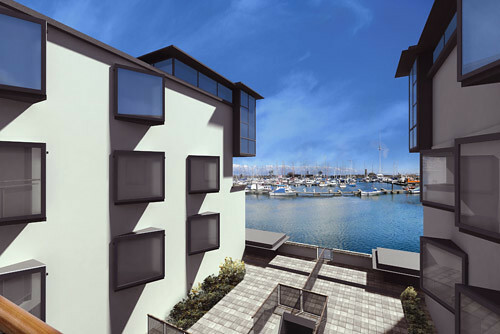 The brief called for 40 flats each with a view of the harbour and 4000sq m of flexible offices and underground parking. 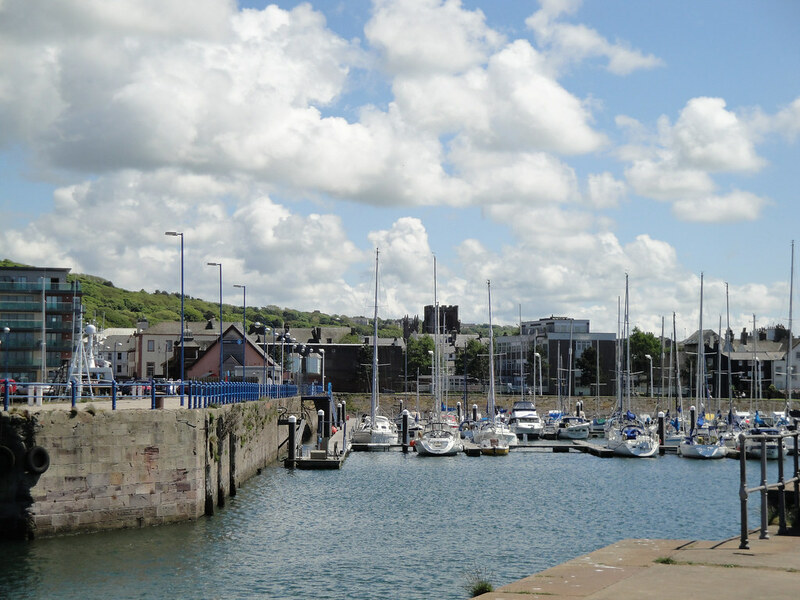 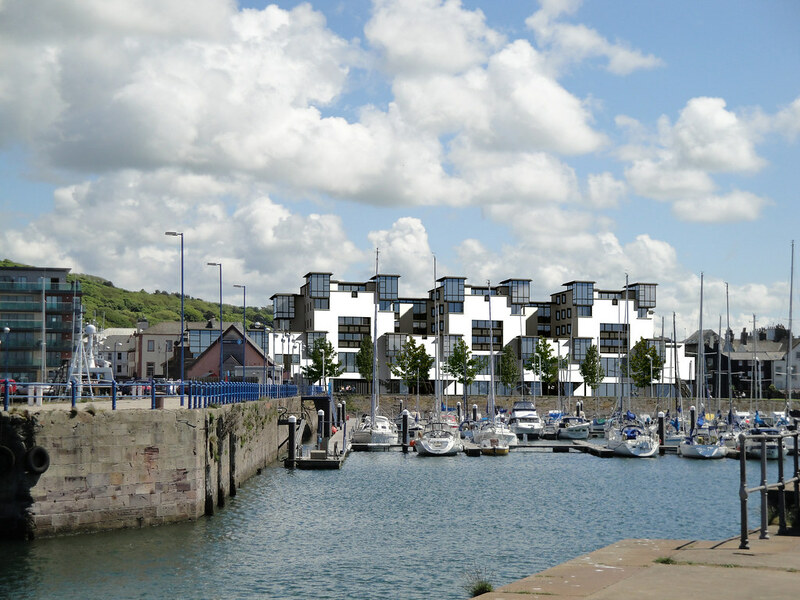 The site is a semi-derelict rectangle (with the exception of a small pub on one corner) adjacent to the recently revitalised Whitehaven harbour. 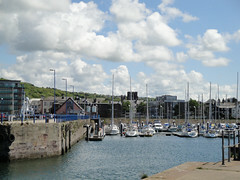 A major marina now occupies the harbour. 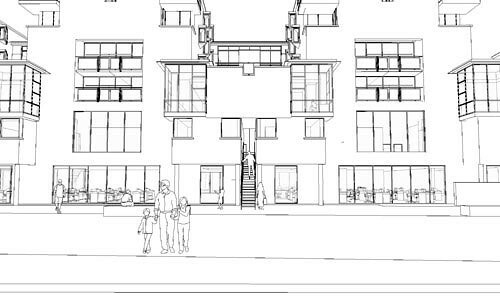 The entrance and a fragment of a former swimming baths exists on the site and we resolved to maintain this and to incorporate it into the design. 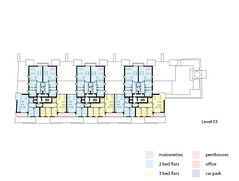 The drawings illustrated are our Stage 2 competition design. 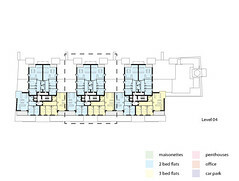 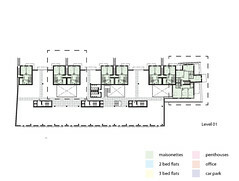 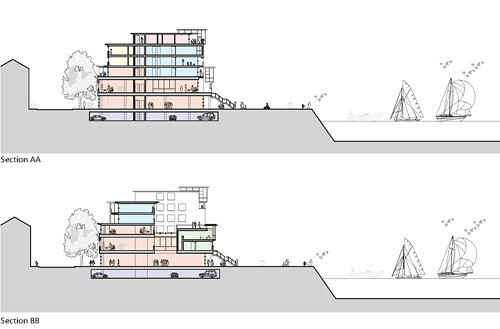 These may well change before an expected planning submission in April 2011. 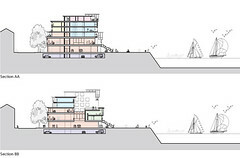 The plan has been organised around three cores so that all apartments have sea views, with the majority having increased ceiling heights at living spaces and provided with corner windows. 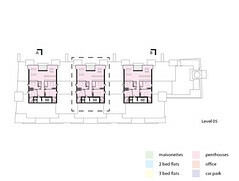 These are prominent features of the design, giving panoramic views, and the entire development a distinctive appearance of a collection of lanterns, particularly, of course, at night. 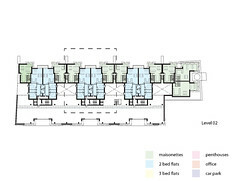 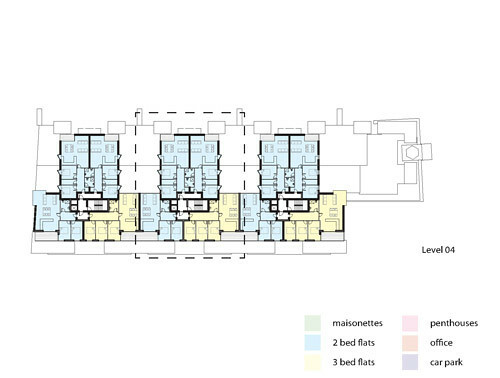 All flats have external areas, either as balconies or significant roof terraces. 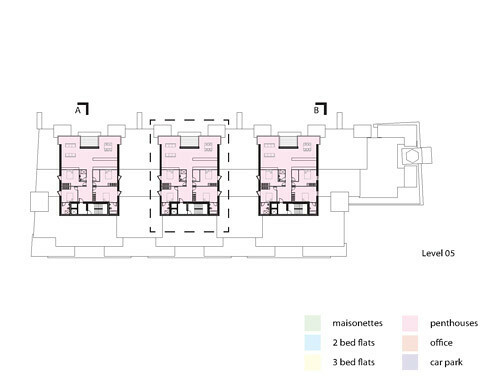 Three penthouses are located on the uppermost storey on the top of the three towers provided with terraces and 270 degree views. 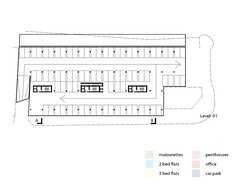 Flexible offices accommodation is arranged predominantly over the first two floors. 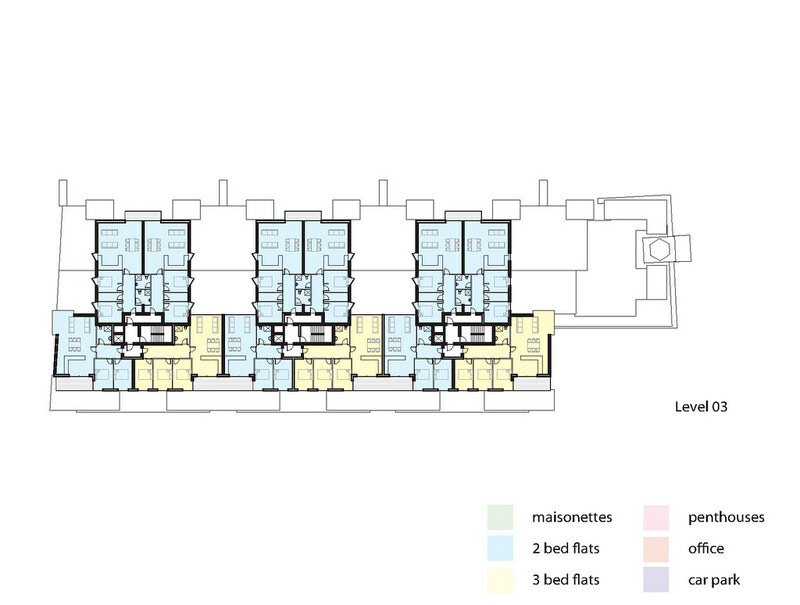 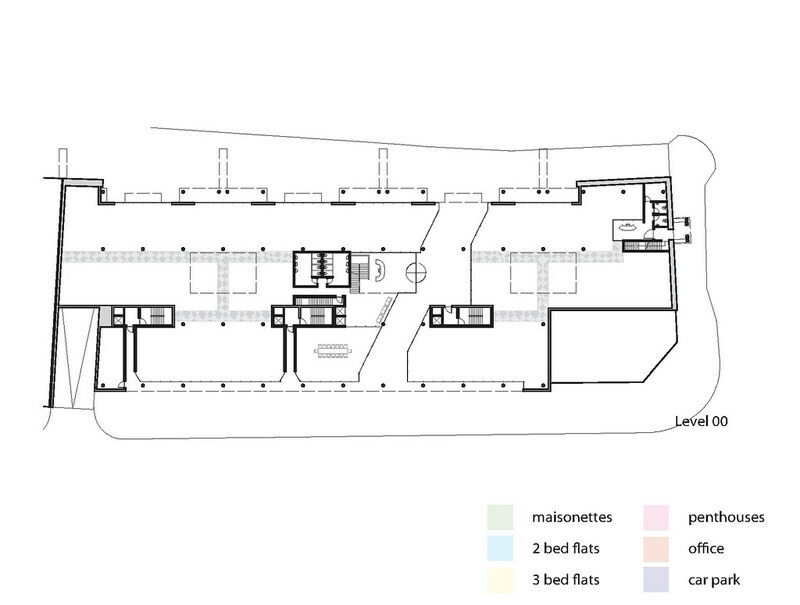 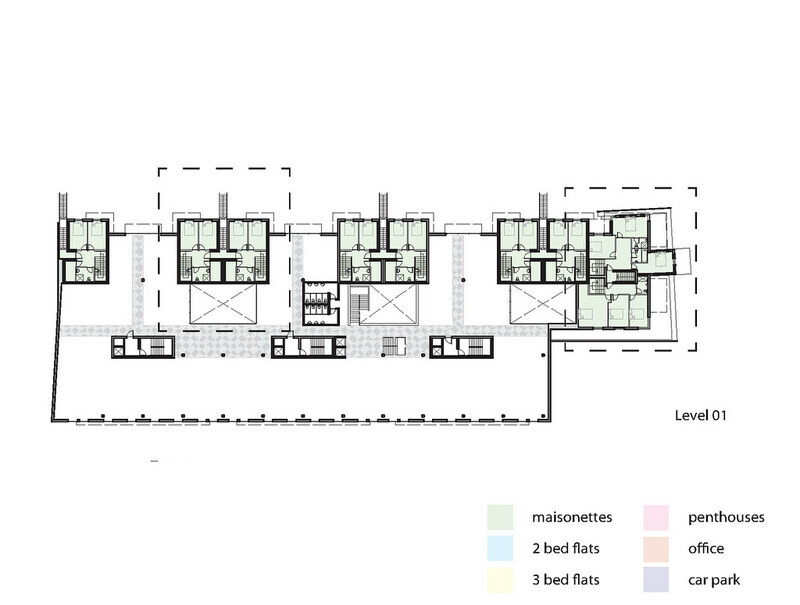 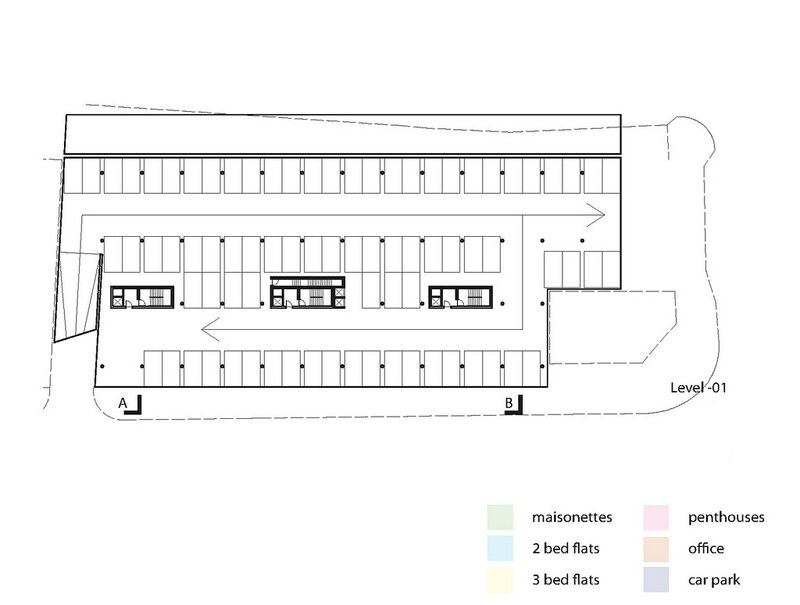 However, some area at first floor level on the promenade side has been given over to accommodate the lower level of seven maisonettes. 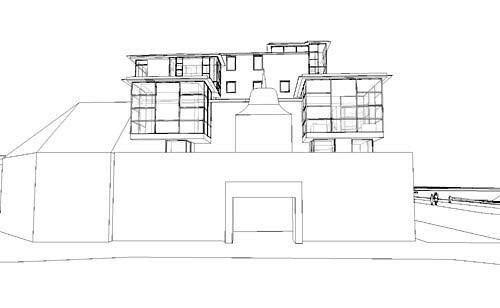 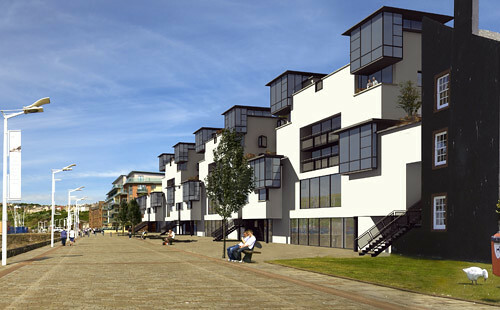 These maisonettes are accessed directly from the quayside, from individual 'gangway' type stairs and are designed to provide an animated frontage to the promenade as well as humanising the scale of what could otherwise be an uninterrupted two storey office facade. 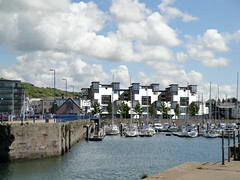 These apartments benefit from a unique quayside address and direct access to the marina. Additional office accommodation is provided at second floor level on the Strand Street side of the development in the form of four pavilions. 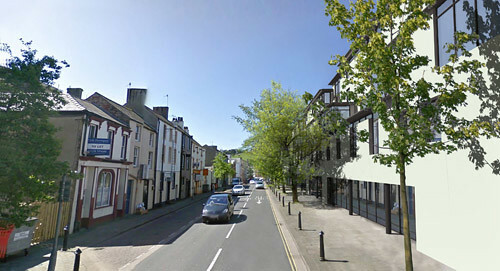 This in turn provides Strand Street with a varying eaves line referencing the stepped form of existing buildings across the street. 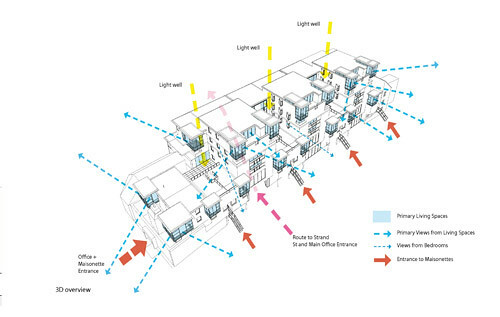 The ground floor of the offices to both Strand Street and the promenade are colonnaded and predominantly glazed, (below a more 'solid' first floor facade) so as to provide opportunity for as much animated frontage as possible. 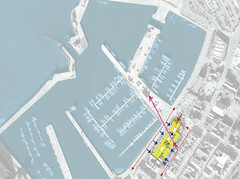 Permeability through the site is provided via a public 'pend' from Millennium Promenade to Strand Street. 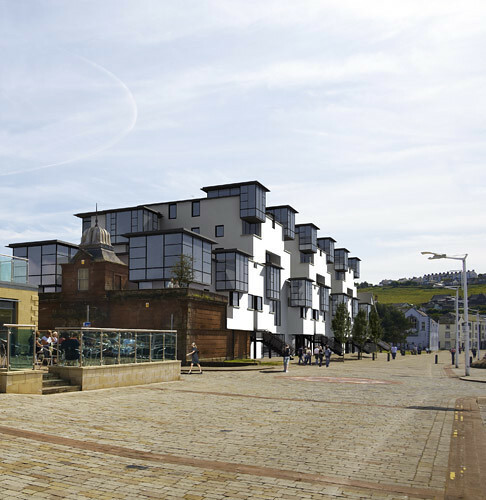 This pend has been strategically located so as to align with the marina pier, providing views from Strand Street to the pier and provides access to the main office entrance as well as one of the three residential cores. In this way, the pend will be continually active and contribute also to the active frontage of both Strand Street and the Promenade. 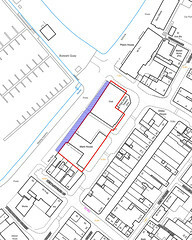 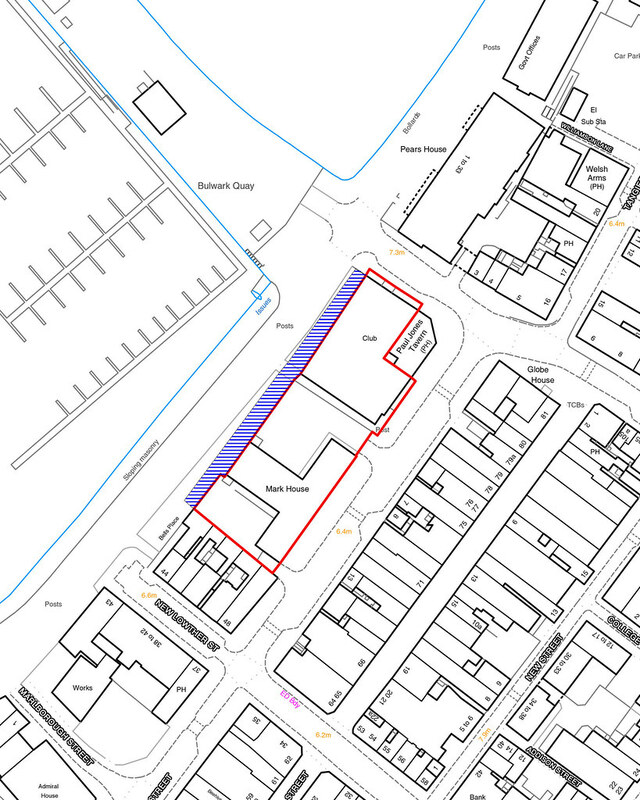 A basement car-park of 79 spaces is provided with access from the southern corner of Strand Street.